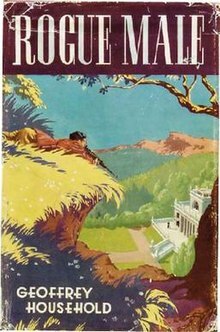 This entry was posted on October 4, 2014 at 12:14 am and is filed under Books with tags book review, Geoffrey Household, Graham Greene, Rogue Male, secret services, thriller. You can follow any responses to this entry through the RSS 2.0 feed. You can leave a response, or trackback from your own site. Although psychologically shallow in some sense, I think an interesting theme of the book is deep versus shallow psychology: the extent to which we care about lofty ideals versus our animal needs, pretending (or trying) not to care about the former.